I walk into the cinema at around 11:50 PM, just ten minutes until the lights dim, but this isn't an ordinary midnight screening. A palpable buzz is in the air as a rather large crowd of people are taking their seats, and I find a nice comfy spot on the left side, a perfect view of the screen. I look around the room and realize every seat in the place is a perfect view. If I were forced to stand for the duration it would have qualified as a perfect view. A cinematic experience I will surely never forget is just about to begin, and I can't wait. If you read my previous review of one of the finest films released thus far in 2014, The Grand Budapest Hotel by Wes Anderson, you may recall the fact that I shared my experience of walking into my local old fashioned theater, a place called the Tivoli in Downers Grove, Illinois. It is located roughly 5 minutes from my home and yet that night at the Budapest was my first ever trip there, and I was in awe of every tiny aspect of the place. The old fashioned architecture surrounded me and I couldn't help but look up and admire it all, a look on my face similar to a small child realizing for the first time that they reside in a rather big, beautiful world. In a world of 18 screen multiplexes run by nationwide corporate chains, I was overwhelmed by the charm of a spot like this. It felt like I had taken a time machine back to a different era of cinema, and tonight I got to experience this feeling again only this time two fold. A gentleman employed by the theater walks to the front and addresses the audience, and he asks "How many of you have never seen this film before?" and a startling number of hands fly into the air. A few laughs are scattered throughout, playfully mocking those that have never had the privilege to wander the dark, death filled halls of the Nostromo prior to this night, but I find myself envious of those raised hands. My god to experience a film like this for the first time in a setting like this, the way eager movie goers did back in 1979 upon its initial release. A part of me wishes I could somehow get my Alien virginity back just so I could lose it again in this romantic setting, like a couple of awkward nervous teens lying on a blanket under the stars. Tonight I celebrated the 35th anniversary of one of the greatest pieces of science fiction and horror filmmaking to ever be witnessed, and it was so many kinds of wonderful that I can't really find the words to describe it. 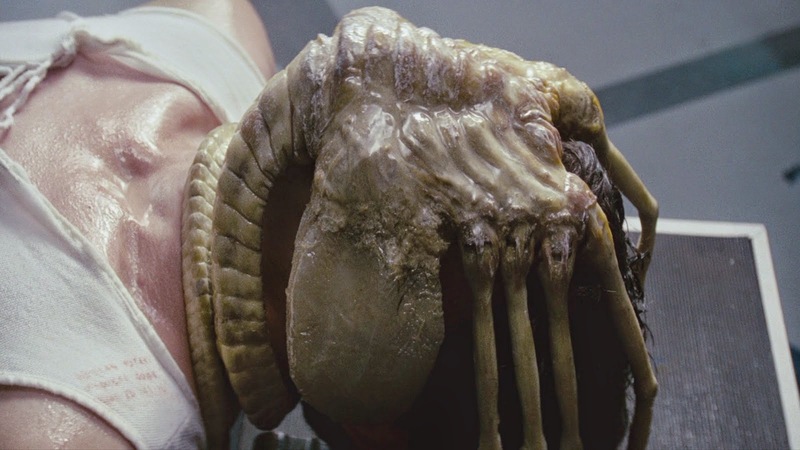 The anticipation of the iconic moments during the film became clear throughout the room, as people seemed to rush off to the bathroom to ensure they could be comfortably seated before a chest would burst open and a xenomorph would come crawling out. I had experienced these moments time and time again prior to tonight, but it all felt so fresh and alive in a way that transcends what can be elaborated on in a review. 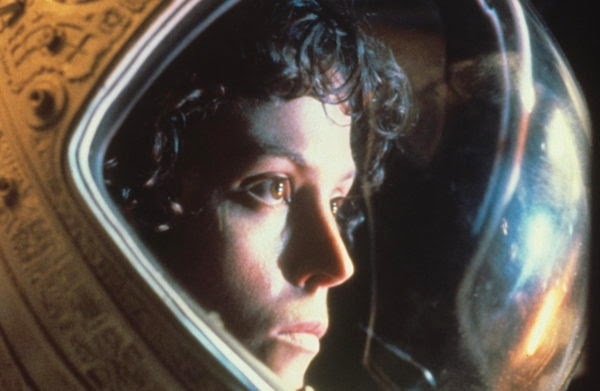 If I never get the chance to screen Alien again on the big screen, at least I can always remember these enchanting two hours of my life. Despite the many visits to this world from a spot on my couch in the living room, my eyes seemed more open and alert to the film, and my mind was racing as I really started to pick apart the brilliance in the craft of Ridley Scott. The camera says so much throughout it, especially at quieter times when the dialogue is not telling the story. We get some medium shots of crew members and locations and they scream of normalcy, so much so that in the back of my mind I realized what a false sense of security these moments portray, as if we can move off the edge of our seats for the time being and the goosebumps we are experiencing are no longer needed. Suddenly we are in the midst of a claustrophobic close up shot or a character is stuck in a tight space with no where to run, no where to hide, and even from the theater seat the tension feels unbearable. How does one create such a stunningly perfect film? How is it that all the creative potential of those involved just seems to align for that one filmmaking journey that never even slightly falters throughout? Human beings by their very nature are flawed, yet somehow a group of them got together and created this example of total artistic perfection. 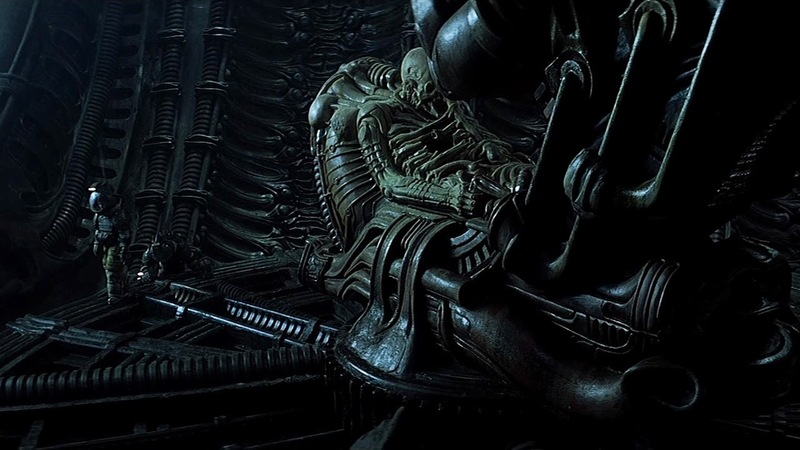 Alien is a cinematic miracle. When the final frame went away and the credits rolled to the backdrop of infinite space, the crowd erupted into applause, a sign of the respect this film has earned as it continues to resonate with people of all ages to this day. 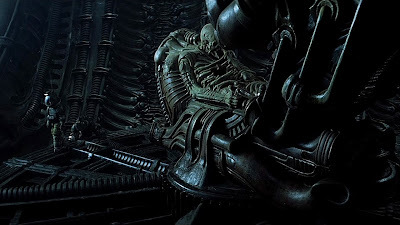 Budgets may be skyrocketing, special effects are more stunning, and technology as a whole is evolving in ways never dreamed of before, but Alien is a work that could never be left behind no matter how much we move forward. It truly is one of the greatest films of all time. I arrived at my car in the parking lot, and I noticed I checked the back seat before entering, something I typically never do. It wasn't as if I was expecting to see a creature lurking back there, to be honest I don't even know what I was thinking in that moment. That's the point, it doesn't matter what I was thinking. The execution of the vision of Ridley Scott, released five years before I was born, continues to haunt the subconscious and force people to quickly glance into darkened rooms and check the backseats of their cars because the paranoia of what could be there is terrifying. That in itself is an amazing achievement.